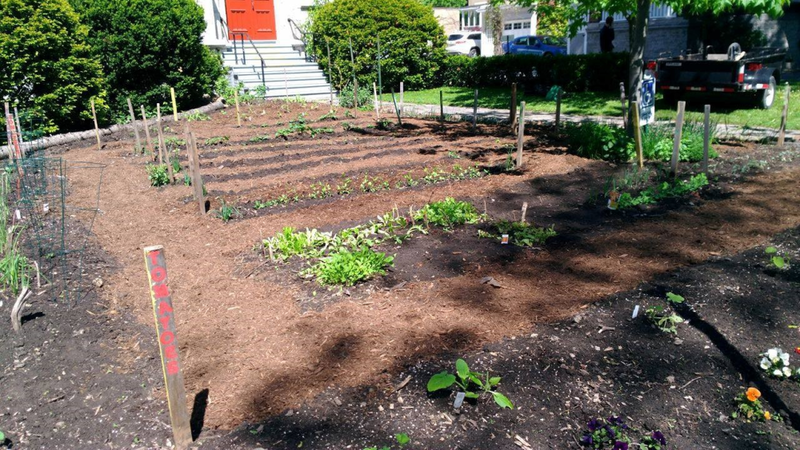 Project Community Garden (PCG) is a student run project, which works in partnership with Sydenham Street United Church. PCG is completely volunteer run, and seeks to encourage participation from both Queen’s students and members of the Kingston community. 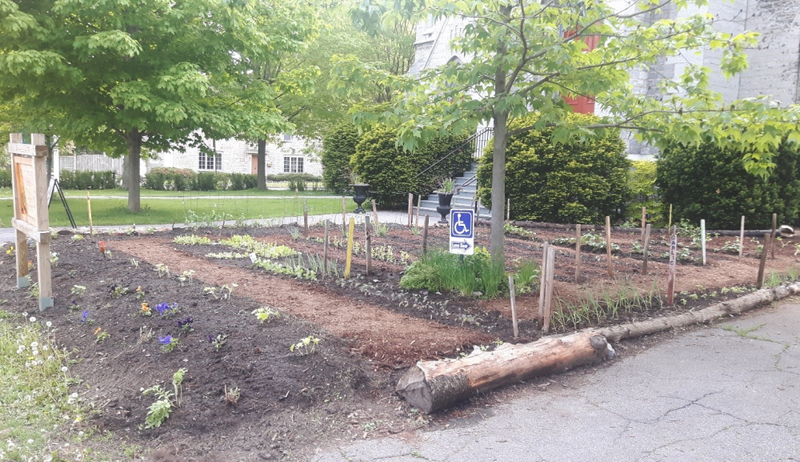 2014 was the first growing season on this 42ft by 21ft plot located on the front lawn of Sydenham Street United Church. In 2017, a Small Group was formed to take a more active role in the production and upkeep of the Garden. Spring time saw us grooming and planting the garden – this was done by a great team of volunteers from both the Queen’s and church community. In summer/fall – weeding, watering, planting secondary crops, and harvesting was done. Late fall found us cleaning up the space and preparing it for the coming winter. Some tulips and daffodils were also planted so, hopefully, we will have a nice bit of colour in the spring. 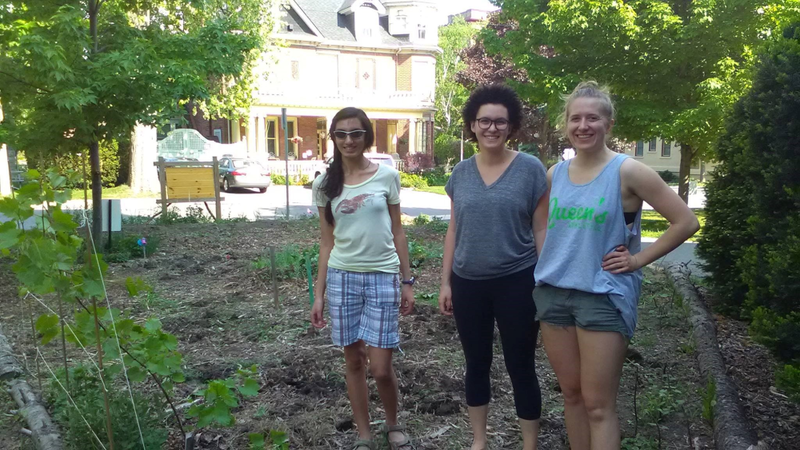 The purpose of the Garden is to create a biologically productive and educational space in which Queen’s students and members of the Kingston community can learn about and engage in urban agriculture. In doing so, we seek to lessen the disconnect between us and our food and promote concepts of food sovereignty. The Garden’s harvest is donated through the Loving Spoonful’s “Grow a Row” program, which helps provide healthy meals to individuals and families who might not have access to fresh fruits and vegetables. We contributed approximately 170 lbs. of produce over the 2017 growing season – 70 lbs. over our target! Special Thanks to the students who helped plan and plant the garden in 2017 and to the SSUC volunteers who ensured that the garden was properly watered and maintained. Summer – 2018 – We learned a few things in 2017 – what worked – what didn’t – and we intend to use that knowledge to increase our harvest in 2018. The Garden has proved to be a very rewarding initiative both for the community and for the people tending it – with the work being more therapeutic than arduous. If you would like to help us – please email me @ delyead@live.com.